Cinders was established in 1984 and has grown rapidly ever since. 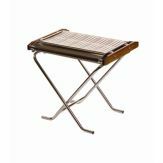 Designed for the professional commercial caterer, the original 1984 product has undergone continual practical refinement. The Slimfold range of barbecues are CE marked in respect of individual European countries. Visit Cinders official website here for more information about their products and services.